Did you know that playing is so important for your child that it’s a universal right? That’s because playing toddler games is one of the best ways to help your child’s brain develop healthily. It’s how they’ll learn to make sense of the world, manage their emotions and fine-tune their muscle control. It’s also how they’ll build friendships, discover their personality and be better prepared for joining the workforce in future. And it’s no surprise that play is an important part of your child’s language development. That’s because the brain of a 2–6-year-old is like a sponge – it’s constantly absorbing new information. So by playing with you, other children, or using educational apps, they can learn new words and ways of expressing themselves while having fun at the same time. But not all play is the same. 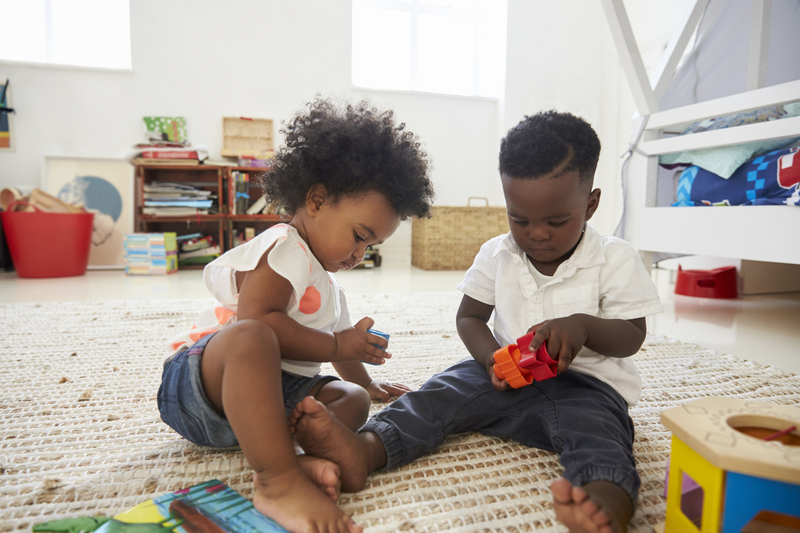 There are several different types of toddler games – and each can help your toddler learn different things. 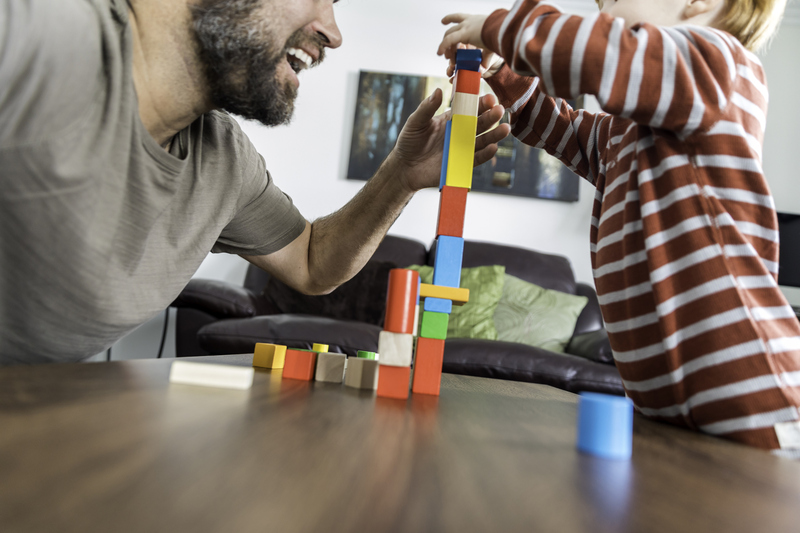 Once your child turns two, their imagination will run wild – blocks can become houses, animals, people or whatever else they like. And it’s not just blocks. A stick could become their new imaginary friend, or a cardboard box a castle. The possibilities are endless – and only keep growing as they get older! These toddler games are great ways of helping your child’s language develop, especially if you play with them. Tell them what you’re making, using some words they haven’t heard before. And ask them what they’re doing too, so they can learn to put words to the ideas in their imagination. It’s great for toddlers to play together. It teaches them how to get on with other people – and it gives you a break from providing the entertainment! But when your toddler is young, you might notice that they don’t seem to pay all that much attention to their playdate. Instead, they’re absorbed in their own work. This is no cause for alarm. If you take a closer look, you’ll probably find that the toddlers are mirroring each other’s actions. If one picks up a toy car, expect the other to do the same. If one starts dancing, it could very quickly turn into a dance off! That’s because although it looks like they’re ignoring each other, each toddler is actually keeping a close eye on the other’s behaviour. They’re building friendships in the only way they know how at this stage. Of course, as your toddler grows, they’ll start playing more actively with you and with kids your own age. And this is a great opportunity for your child to start learning new skills like sharing, taking turns and negotiating. It will prepare them well for school and also teach them vital social skills. And you can help your child develop their social skills by playing toddler games with them. Simple games like ‘Simon says’ and ‘One for you, one for me’ are a lot of fun. They’ll also teach your child important lessons like how to follow instructions and share. And of course, if you want to improve your child’s language skills at the same time, you can introduce new words and phrases for them to pick up while playing. What should you look for in good toddler games? Of course, these are just a few ways toddlers play – there are many more. And as you use playtime to teach your child, you’ll want to vary the games you play to keep it interesting. So what makes a great toddler game? Well, I’m sure you’ve realised how easily distracted your toddler can be. Don’t worry – this is perfectly normal! But if you want to keep their attention on the game, you’ll need to find something that keeps their attention. Scavenger hunts and obstacle courses are exciting ways to do just that, while teaching them new words and skills. Another good way of keeping their attention is to fire their imagination. Encourage your child to imagine themselves in different stories – as superheroes, knights, parents or doctors. It’s a great way of using play to introduce new words and stories. Technology can also help. Take our Club Lingumi app, for example. It’s full of imaginative characters and colourful scenes to fuel your toddler’s imagination while teaching them English. It’s full of educational toddler games, but each lesson is only 15 minutes long – enough time for your child to learn and have fun, without becoming distracted. Plus, there’ll still be plenty of time for offline activities. Why not give it a try today?